that ordinarily mild people, it is said, go wild at them. Turn your back, and there go all four of the Rosa californica you’ve hankered for years to adopt. 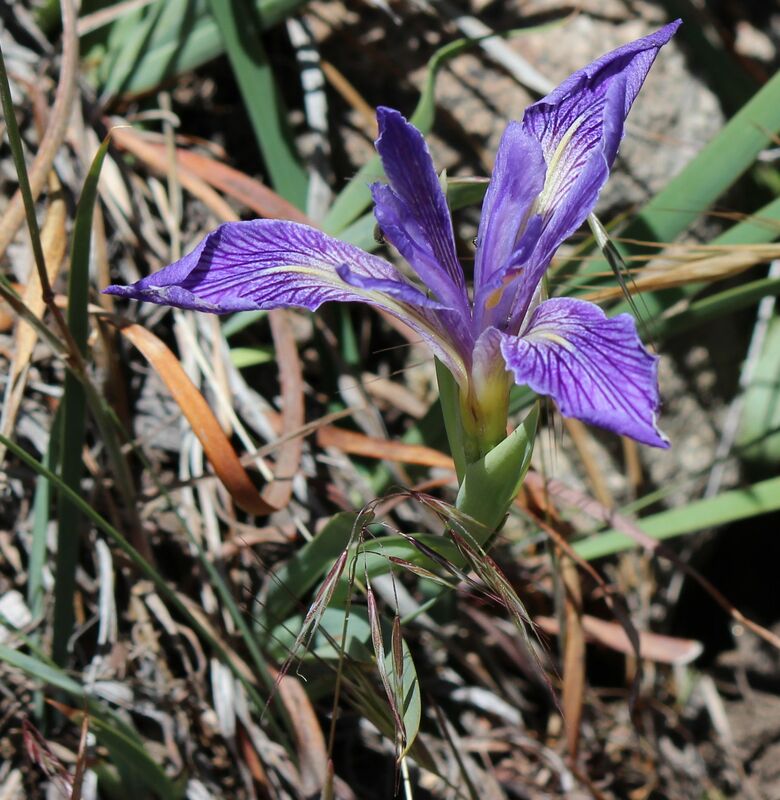 Turn too fast, and get whacked in the thigh with a two-quart nursery pot of Iris douglasiana. You can’t just go out in the national forest and dig up these things. It’s illegal. What grows in the forest stays in the forest. It is not for domestication. Thirty-five dollars later, I proudly owned a California wild rose, a Humboldt lily and a matilija poppy that will produce platter-size flowers resembling fried eggs. All will tuck into the new garden at the top of my property. My neighbor has made grand plans for my garden there, which she sees from her kitchen window. The plans involve rows of lavender inspired by photos of Provence and the so-called “old” roses that Napoleon and Josephine grew at Malmaison. The perfume would satiate us and the beauty would stun us. But the garden would not be wild. My imagination, especially now in the drought, crowds my garden with a riot of orange-tinged blanket flowers, fiery penstemons, golden yarrow and blue California lilacs. I want a fence made of sunflowers and hollyhocks and a pergola made of pallets with a bamboo shade. Everything would look spontaneous. The bees and hummingbirds would mesmerize us and the time we didn’t have to spend watering would calm us. My plant-sale prizes sit in their nursery pots, awaiting their new destination at the top of my hill. I worry that they’ll rebel despite sun, shade and naturally alkaline soil. Will they survive in captivity? If they thrive on human neglect, how neglectful must I be to keep them happy? Would I – and they – have been better off if I had settled for some six-packs of annuals from Home Depot? The plant sale began with a big-voiced man, a master gardener, reminding us that the little coffeeberry bushes would grow very large and attractive to bears and that the wild roses could not be tamed into a hedge. Don’t overwater anything, he said; read the cultivation directions carefully — because the truth is that native plants reject human intervention. Born to independence, they come prepared to live without us. They will cultivate my appreciation, and all I need to do is stand back and give them room.